One of the most important holiday parts is the place to stay. 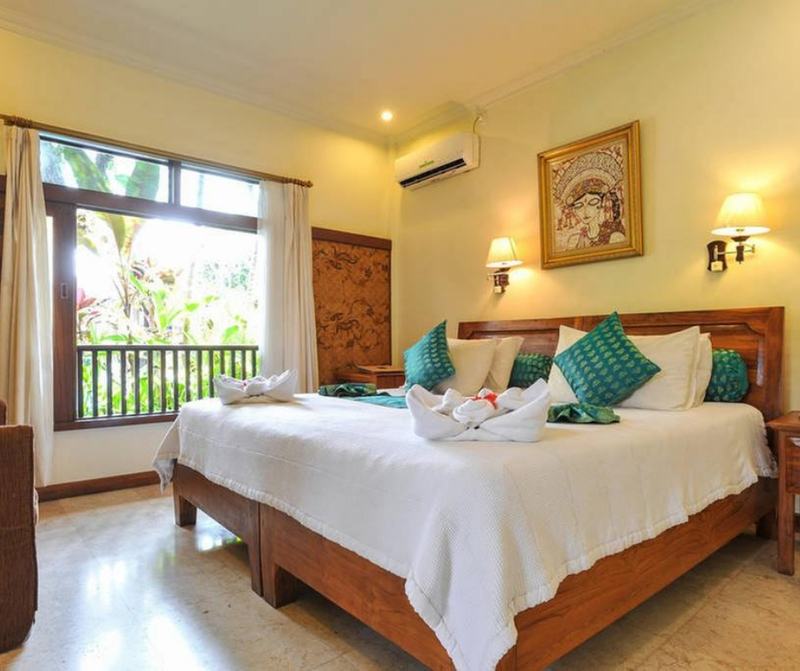 However, do you already know the best places to stay in Ubud on a budget that suitable for you? 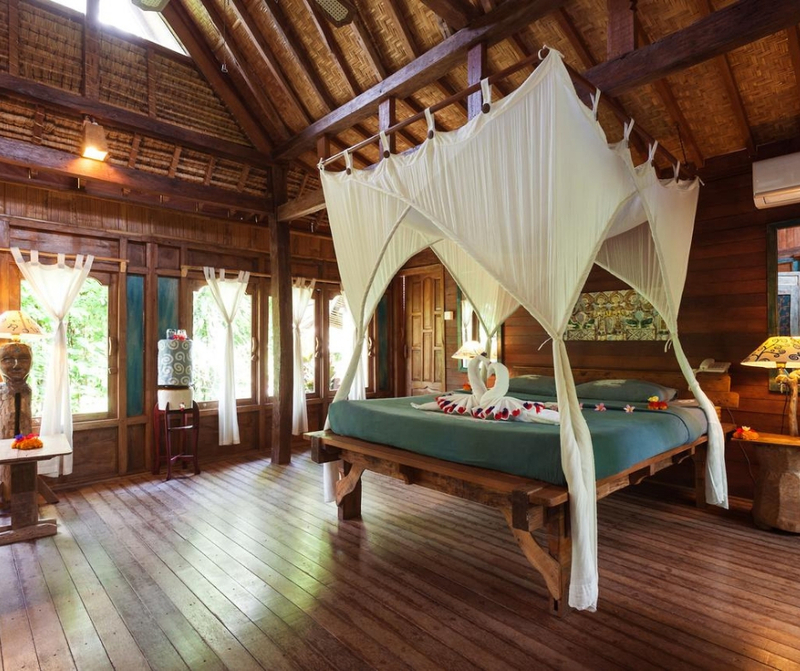 There are so many kinds of accommodations you can find for the places to stay in Ubud Indonesia. From the luxurious places that will make you feel like a billionaire, until the cheapest hostels, yet still comfortable for every backpacker. You can easily find those places in Ubud Bali. And if you are looking for a good place to stay but still affordable, we will give you some best value hotel in Ubud Bali. So, just check this list out just for you! Looking for cool places to stay in Ubud Bali? Then you should head to this homestay. Nick’s Homestay offers you a really cool architecture along with the homie atmosphere. 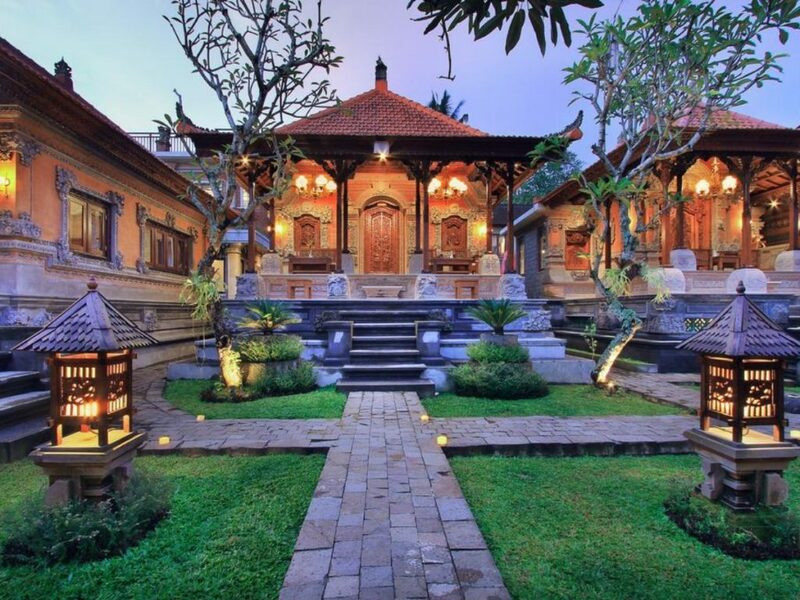 With full traditional Balinese culture architecture, makes this place feels like an authentic Balinese house. This homestay is one of the recommended affordable places to stay in Ubud due to its amazing architecture. Besides the architecture, all of the beds have a great traditional vibe in this homestay. Why? Because the bed frame is from bamboo! Some furniture is made from bamboo and wooden as well, which strengthen the traditional atmosphere here. Moreover, many favorite tourism destinations are also close to Nick’s Homestay. And if you are looking for another cool place to stay in Ubud Bali, try to check Beji Ubud Resort out! Another best budget villas in Ubud is The Runik Ubud. Even though this place is considered as the affordable place, but you will not regret to choose this place as your staying place. 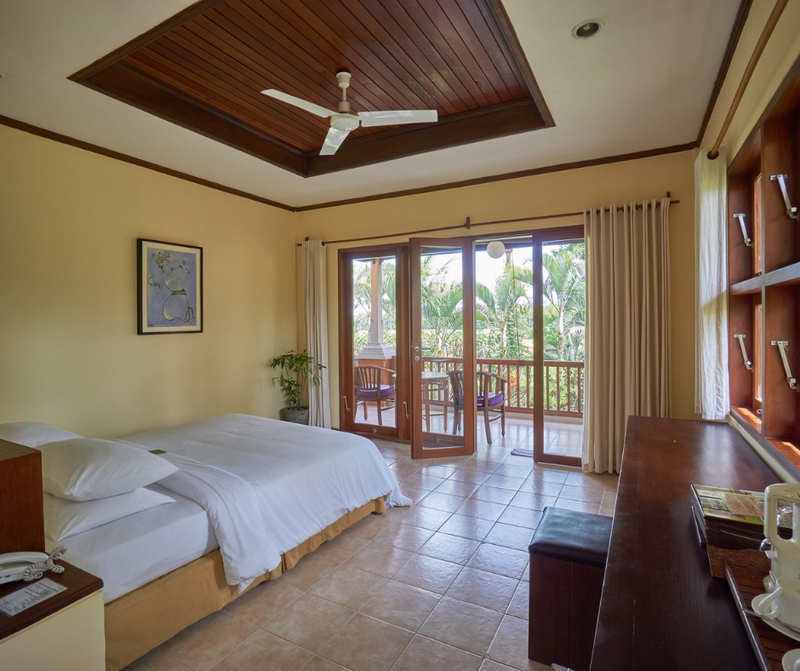 This place is divided into 4 villas, which will give you more private space when you are staying here. Moreover, the reason why you should put this place as your number one place to stay is, because of its location. The Runik Ubud is close to the main and most visited destination in Ubud, and this will be really your advantage. Besides that, The Runik Ubud also provides you with the best facilities. Completed with the impressive outdoor pool which will make you more satisfied, The Runik Ubud also will be even more beautiful at night because of the lamps’ decoration! Those pretty lamps will illuminate every edge of this place beautifully. The next best budget places to stay in Ubud you could get is Tegal Sari Inn. This place is also really close to the main destination in Ubud. So, Tegal Sari could be your alternative if the previous place is fully booked. With modern architecture combined with the traditional touch of wooden furniture, makes your room unique yet cozy. With the greenery around you and the close paddy field, makes this place look really fresh. Refresh yourself at the well-built pool to re-energize your energy. It is also a good deal for every one of you who are looking for an affordable place, but has the best facilities! 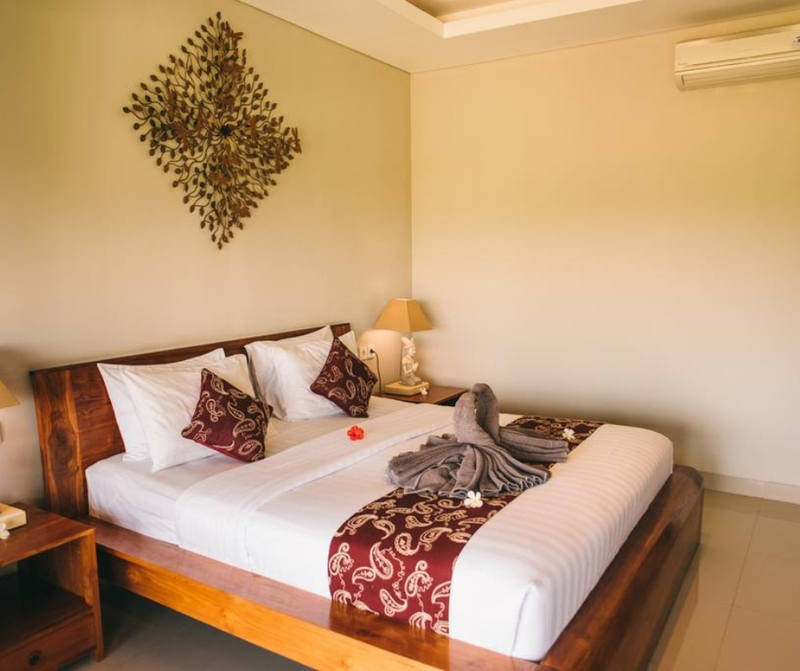 The next affordable guesthouse but still provides you with the best facilities is Ketut’s Place. Start from the cool designed building, up until the greenery garden around, makes the atmosphere be even cozier for everybody. This is also a great choice because one of the main reasons is on how easy to reach out of the tourism destination. Because like the other accommodations that have been stated before, this place is also near some famous destinations in Ubud Bali. 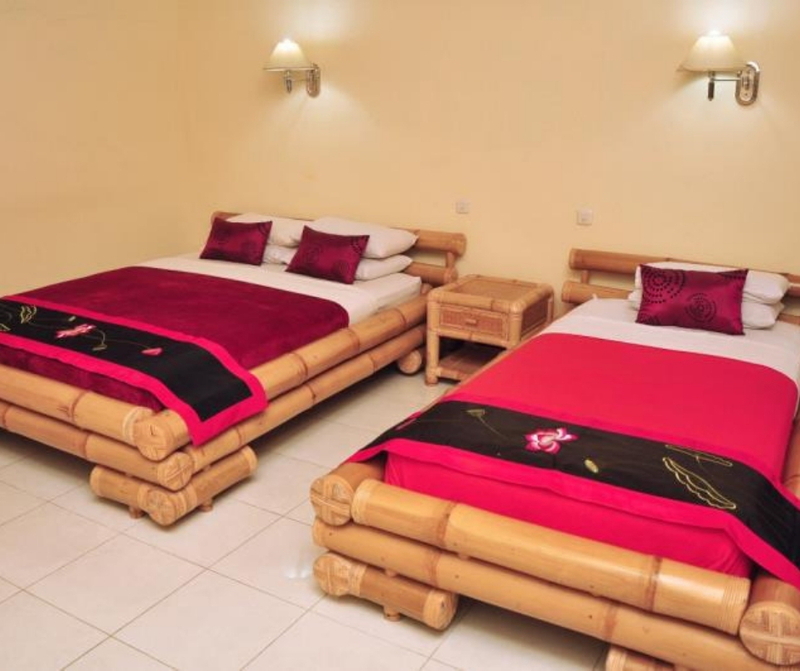 Complete facilities are also the plus point of this guesthouse. Moreover, the great services from all the friendly staff will make your stay here more worth it! Another place to stay that will satisfy your culture-related desire is the Puri Saraswati Bungalow Ubud. Taking the concept from the infamous Taman Saraswati Temple, this bungalow architecture is having the mixture of modern but still thick of traditional Balinese culture vibe. With the best service from the staff and complete facilities, makes this place is worth to have a try. Even more, they have one of the best ratings for a hotel at various hotels booking sites! This highly cozy bungalow is still on an affordable rate for you.